Peter Wick seemed like a man of contrasts. 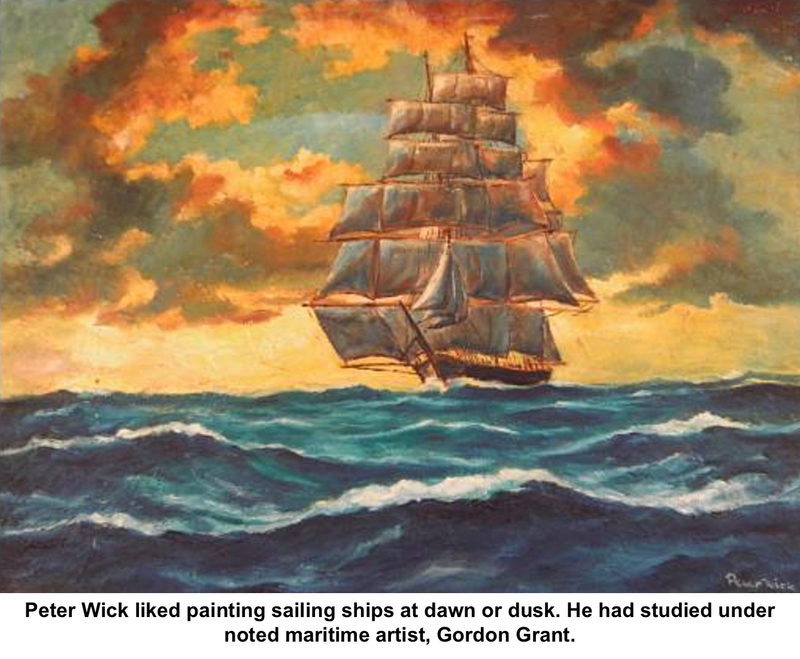 Tall and burly, he was a former boxer and champion wrestler who became a prolific artist, painting countless scenes of the Connecticut countryside, the New England shoreline, old sailing ships, and tropical islands. What’s more, Wick was also a veteran New York City police sergeant who, as both a cop and a Ridgefield prosecutor, was an advocate of intelligent treatment of wayward teenagers. Poland. (As a young man, he shortened his name to Wick.) After working as s store clerk, he joined the New York Police Department in 1924. But he was also deeply involved in athletics. “Peter Wick was a great sports figure who enjoyed wrestling and boxing,” said his family on a website created in his memory. “He sparred with famous boxers such as Jack Dempsey and worked with Gene Tunney at the West Side YMCA in New York City. He coached young boxers and one of his best-known pupils was middleweight champion, Rocky Graziano. He continued to box as late as 1947 in police leagues. organizers of what was to become the Police Athletic League, which still provides many programs for New York’s youth. Wick became interested in art in the 1930s, and eventually studied painting under Howard Chandler Christy, a noted portrait artist, and Gordon Grant, who famous for his maritime scenes. 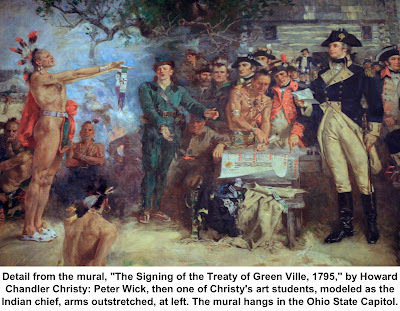 In a 1945 Christy mural, which depicted negotiations between the United States government and the American Indians, Wick modeled as an Indian chief. The mural is in the Ohio State Rotunda. When he and his wife, Henrietta, and family moved to Ned’s Mountain Road in 1940, that wild area of Ridgebury helped foster a love of nature and the countryside, and inspired many of his paintings. He retired from the NYPD in 1953 after 29 years. He wasn’t rich, said his grandson, Bert Fortin. His pension at the time was about $500 a month. So to bring in extra money, he began selling his paintings at shows throughout the area. 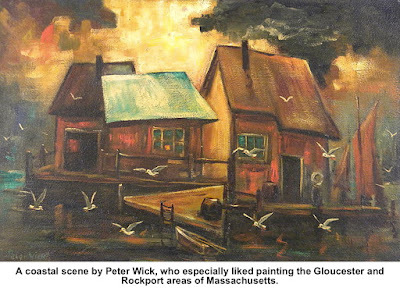 In 1959 he opened a gallery on White Street in Danbury. He later had a studio in Westport. Some of his paintings sold for as much as $300 ($2,700 today), helping considerably with the retirement income. 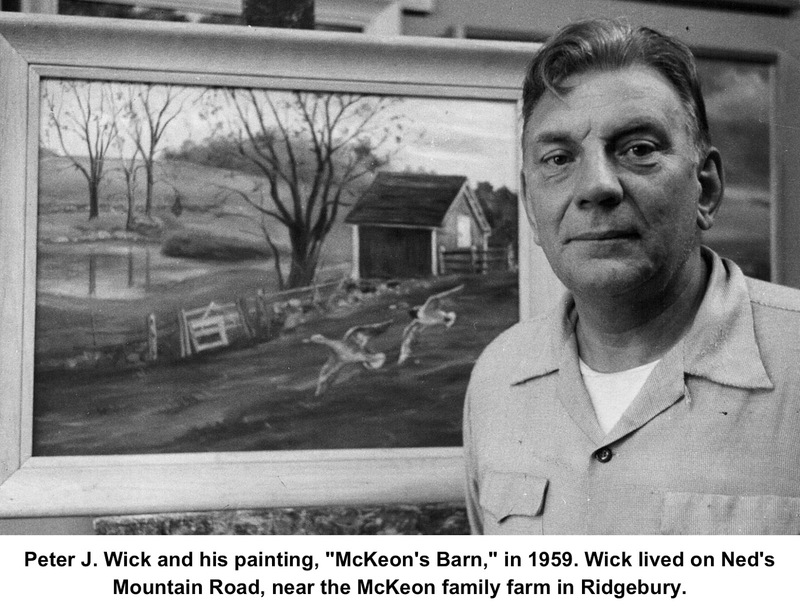 In the 1950s Wick became involved in town government, serving as a grand juror. In 1959, he was appointed a prosecutor in the town’s Trial Justice Court, a job that wound up sparking some controversy a year later when a case he was prosecuting against two teenagers had to dropped for lack of a complaint. The youths had been caught with an automobile distributor they’d stolen from a wrecked car parked at Pamby Motors. The police arrested the boys, but the owner of the wrecked car refused to press charges — a fact that Wick did not know until the last moment. Carleton Scofield promptly quit as town justice, complaining that Wick had not properly prepared the case and maintaining that prosecutors should be attorneys. The two had argued over prosecutions in the past. Wick also resigned. He said that he had not gotten timely information from the police, but also did not want any further clashes with Scofield. Scofield immediately returned to his job. young first offenders who commit misdemeanors.” A police record, he said, can considerably affect a boy’s future school and job opportunities. In an interview in the Bridgeport Post, Wick favored reorganizing how the police handled youth cases, feeling that the police should be encouraged to “adjudicate instead of arrest,” The Post said. He recommended that the town name a committee or commission to deal with teenagers before and after they commit minor offenses. In 1984, Wick retired to Lakeland, Fla., bringing along with him a truckload of paintings he had done in Ridgefield. He died five years later at the age of 87. 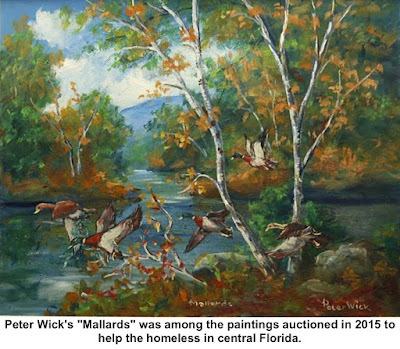 In 2015, his family offered 200 of Wick’s paintings to Lighthouse Ministries, which provides food, clothing, shelter, and various programs to the homeless communities of Central Florida. Lighthouse scheduled an auction of his paintings that year that raised more than $16,000.